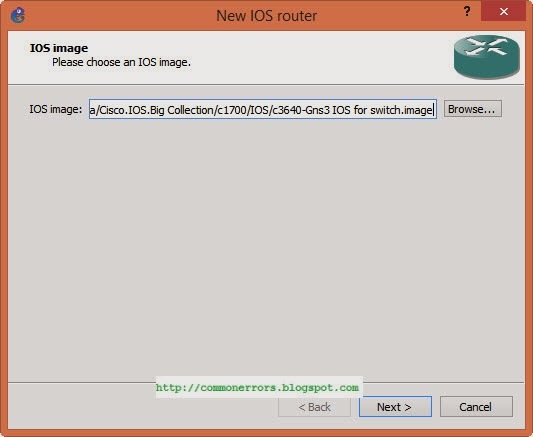 In this article I will show you how to use Cisco switch in Gns3 1.1 and Gns3 0.8 virtualbox edition. You can perform switching functionality on GNS3 simply by using NM-16ESW module. This module is normally available or work with Cisco 3600 & 3700 series. Using NM-16ESW you can configure switching protocols like VLAN, STP, VTP on gns3 ect. 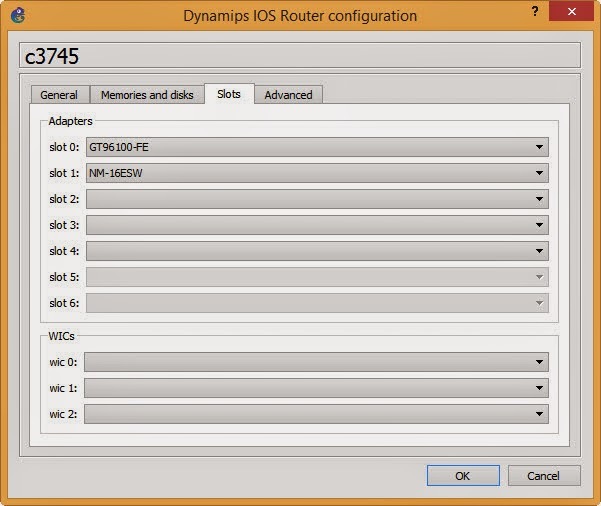 Open Edit \ Preferences\ dynamips\IOS Router & click on new button. Browse the Cisco 3600 & 3700 series image and click next. Type it’s name and set a suitable RAM for it. The next step is most important one, where you need to define NM-16ESW, you can choose it from drop down menu. In next step, set the idle PC value for your router and finish this wizard. 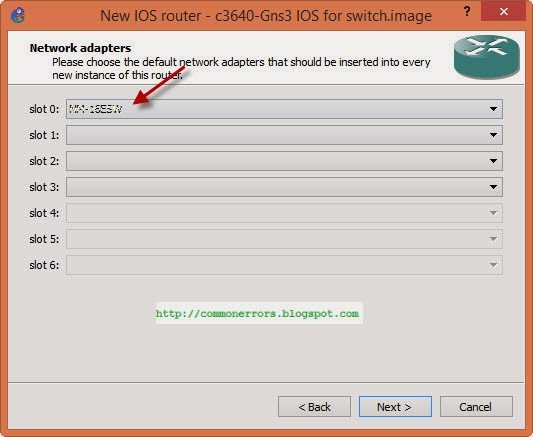 After this you will find your router with switching functionality in Gns3 device menu. You can drag it to gns3 stag and connect it via NM-16ESW module with other devices and you can try some switching commands that are mention at the end of this post. First open the "Symbol Manger" from Edit tab. 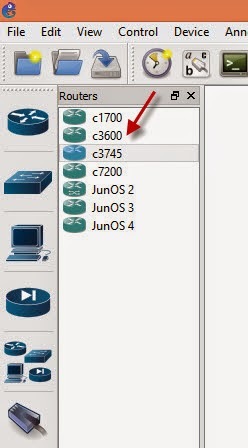 Add a ethernet_switch from available symbol to customize nodes. 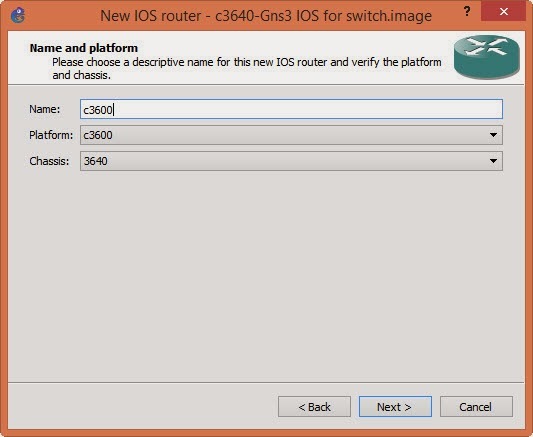 Type a name for switch and in Type field assign the Cisco router IOS to switch, in my case i select the c3600 series and i have used IOS c3640-jk9o3s-mz.124-16a (33MB). You can download switch IOS for GNS3 from this link. Click on apply and then on ok button. Now you can find a new switch in nodes types. Now drag this switch on stage and click on configuration and add NM-16ESW module from slot tap. click on OK you may received a message "You must use 'manual mode' to connect a link with a NM-16ESW module". Therefore use the manual method to configure this. 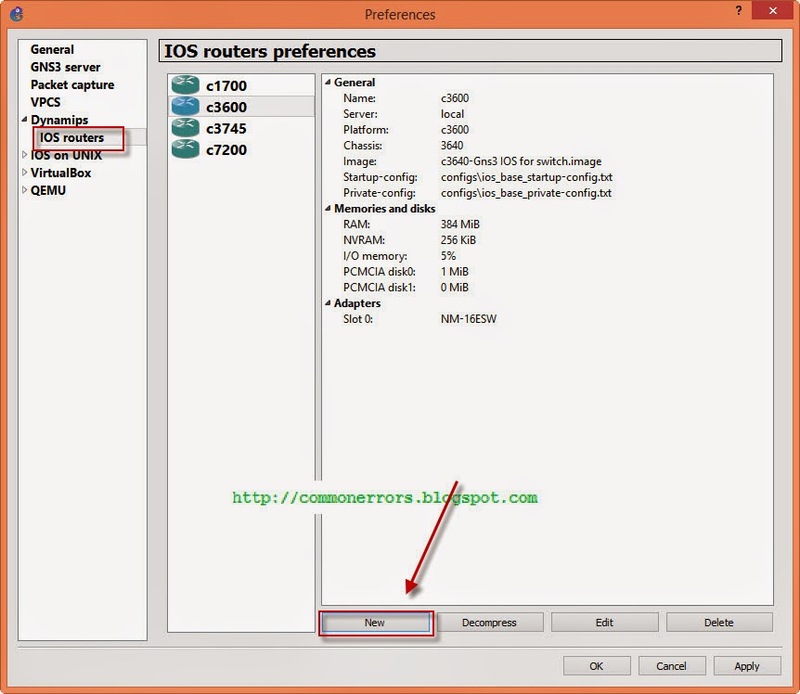 For gns3 1.1 open the edit\preferences, then explore the dynamips tab and click on "ios routers". now click on new and browse the above downloaded image, click next. Type name for router and click next. Now from slots tab choose the NM-16ESW for switching function and click finish. Now for test i shall configure two vlan on switch. For Vlan configuration you can use the following commands. Start your switch and try these commands also can see in screen-shot for vlan 10, 20. For complete switching labs visit following posts of blog.